About a week ago (a week ago! 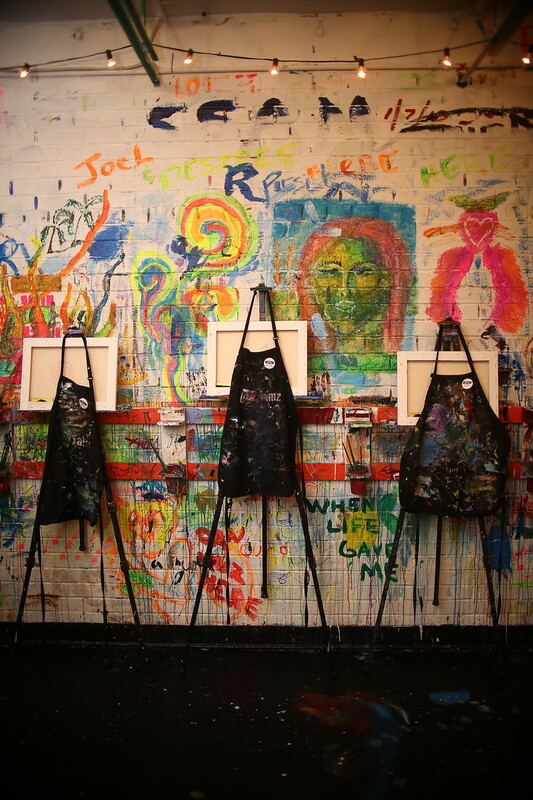 ), I was invited to Ford's "Paint and Dine" media experience held at Art Jamz in Dupont Circle. 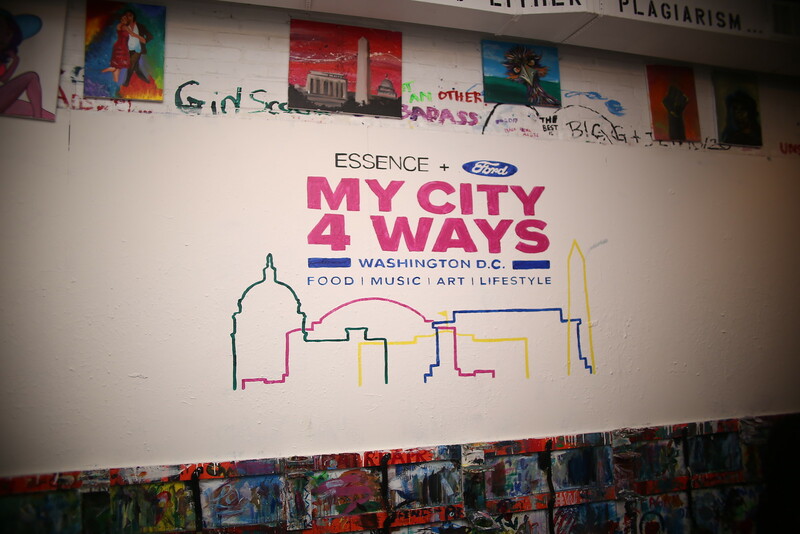 This was the pre-launch event to their big day, Essence's My City 4 Ways festival presented by Ford. 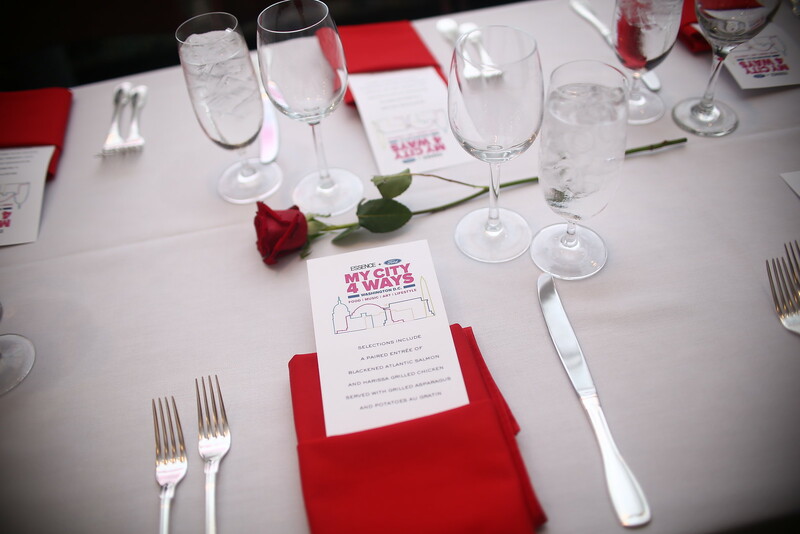 The festival was created to shine a spotlight on the city's art, music, culture, and lifestyle. This is their 2nd year coming back to DC! Other cities that have experienced this festival are Memphis and Atlanta. 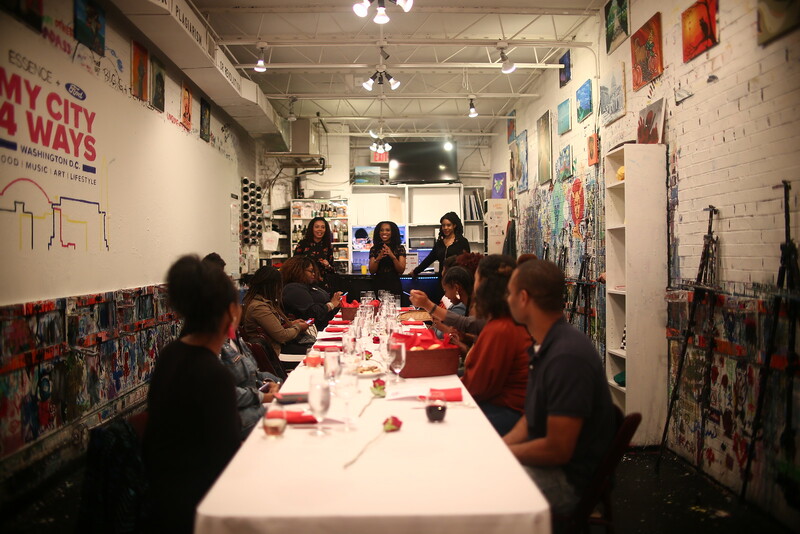 It was pretty cool to walk into Art Jamz and see a fine dining set up right in the middle of their studio. 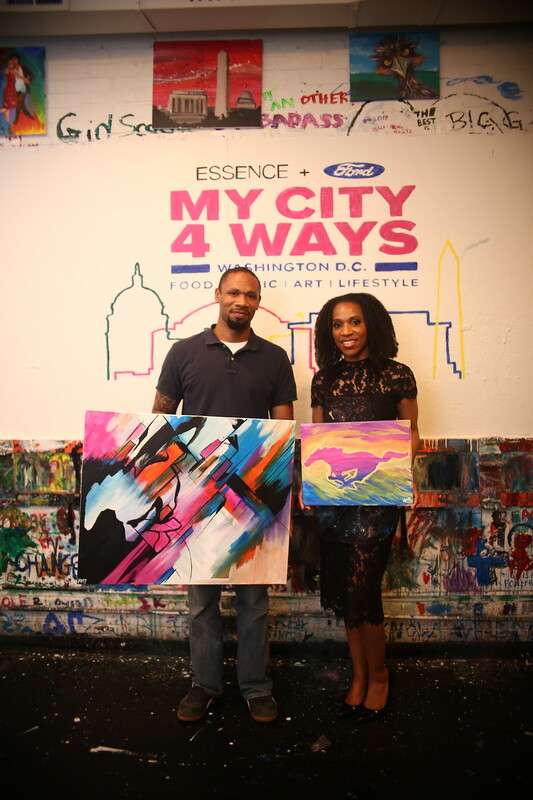 We were offered wine and delicious hors d'oeuvres while watching Hamilton Glass at work on the official My City 4 Ways DC mural plus chatting it up with Ford's Manager of Cross Brand Strategy and Growth Audiences, Raj Register. And while eating our dinner, Raj talked a bit more about My City 4 Ways and previewed two commercials featuring Ford's newest cars. Since we were taking over Art Jamz, it's only right we get to paint. The subject for the night was a black mustang because Ford Mustang. Nicely done. And what goes great with painting? Wine and dessert...and fake mustaches. Duh. I was so bummed to miss the My City 4 Ways culture festival. 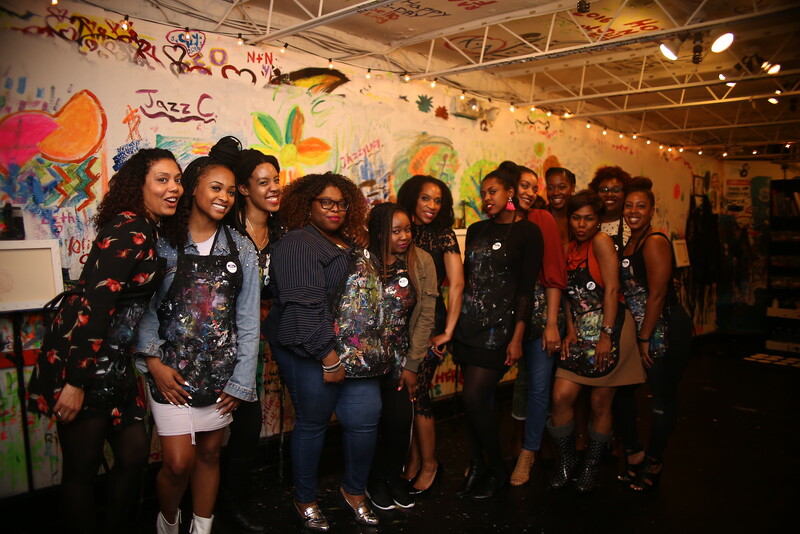 Definitely was looking forward to seeing what they had in store from their panel discussions to tasting small plates from popular local chef influencers to watching Raheem DeVaughn and Black Alley Band perform and finally, rubbing shoulders with Kelis. Ah well. 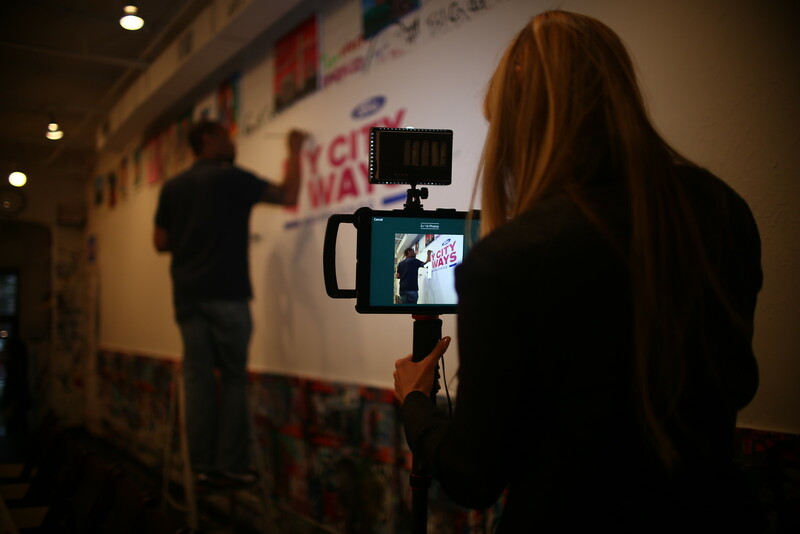 But you can see for yourself how fun the day was by checking out the hashtags #mycity4ways and #myfordcity. 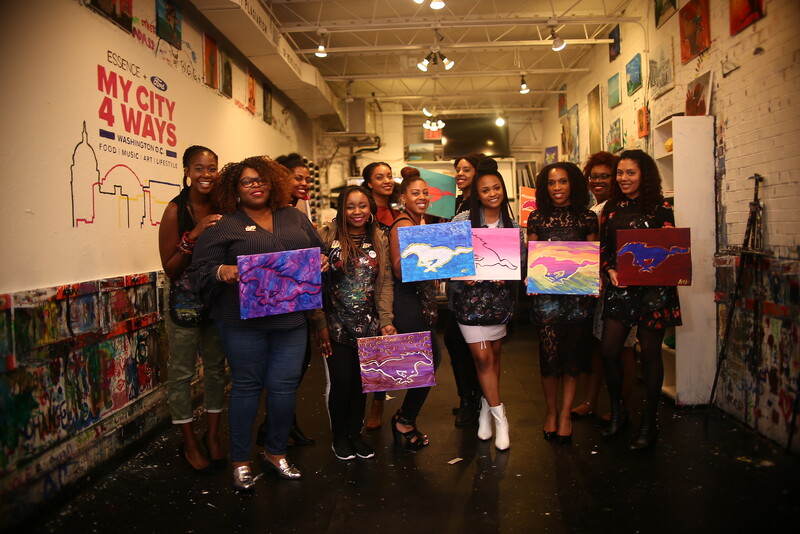 Thanks again Essence and Ford for a fantastic evening!